Dark colors are truly an underrated and underappreciated part of the interior design world. Most people think that these colors may make their spaces seem narrow and claustrophobic, but that’s definitely not the case when you know how to use them in moderation. So today, we’ve compiled a list of all the tips you’ll ever need to know about using dark accents in your home interiors. Dark colors like black, navy blue, and more look their best when it seems like they’ve been incorporated as an afterthought. 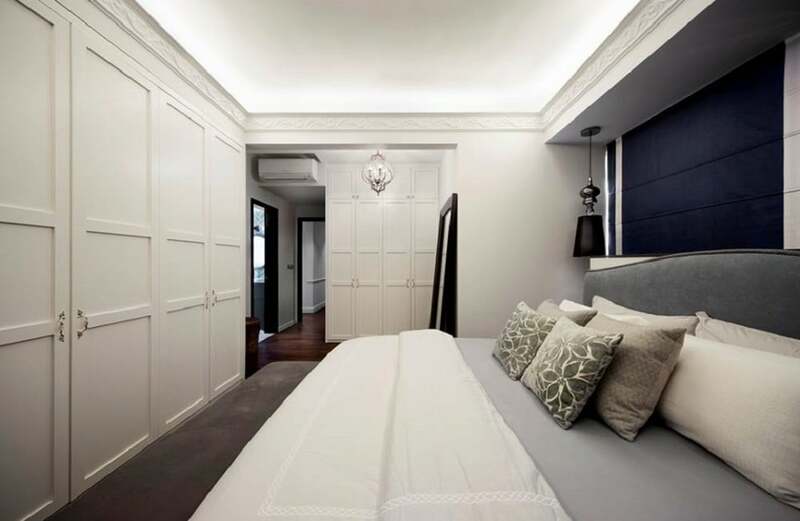 The shades in this bedroom are an excellent example of such a technique, where they’ve been strategically hung behind the bed as a backdrops while the rest of the interior design has been carried out in varying hues of white and grey. Another superb tip for using dark colored accents in your home interiors is by applying them through alternating surfaces. 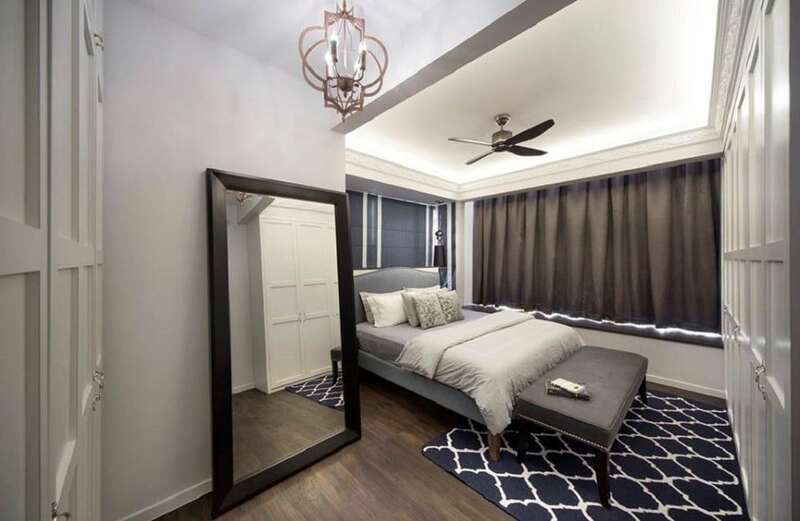 For example, if you decided to go for a navy-blue area rug for the floor, then the surface on top of it has to be lighter. After that, the visual surface on top of it can be dark and so forth. It’s a good way to retain a balance of light and dark tones in a space. Darker shades look their best when you’re trying to emulate a moody, edgy vibe in your interior design. 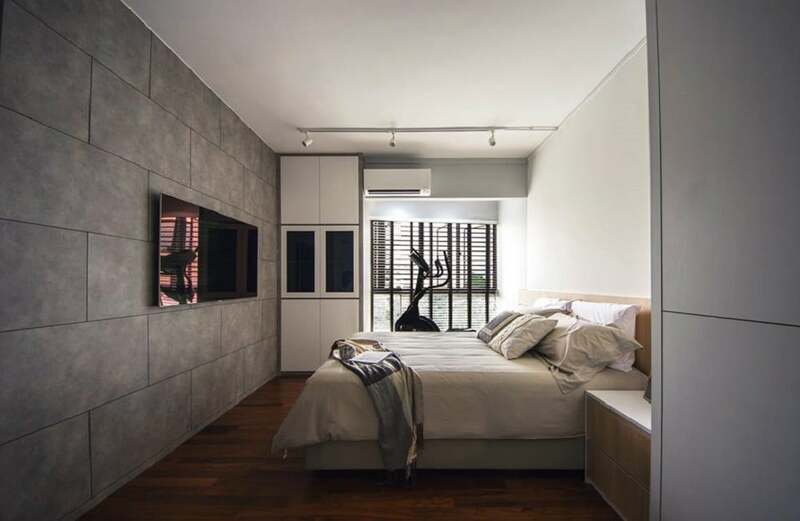 This bedroom interior is an excellent example of this technique, where the classy brick-patterned cladding on the accent wall creates a raw industrial appeal that sets the mood for the entire bedroom ambiance. 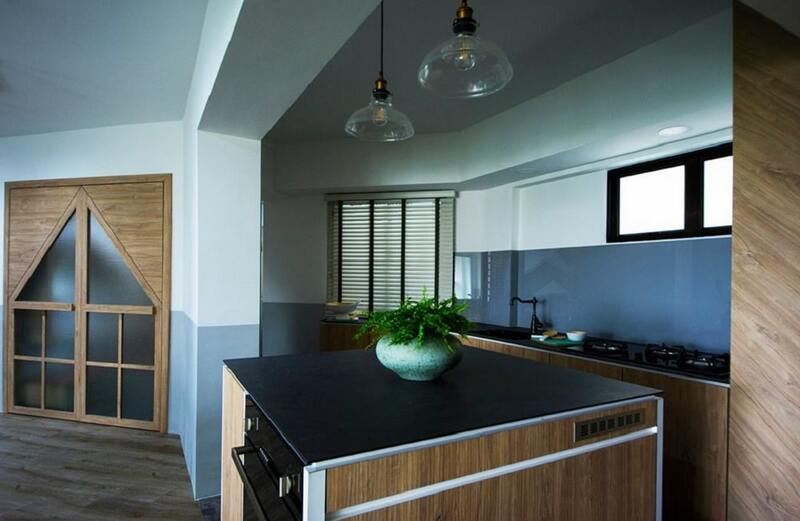 Who says you need to pick only one dark-hued color when introducing such accents in your interior designs. While it’s recommended to keep you accent palate short and limited, you can pick at least two or even three colors to go for uniqueness. The back hued countertops and the navy-blue backsplash in this kitchen design is a great example of this tip. 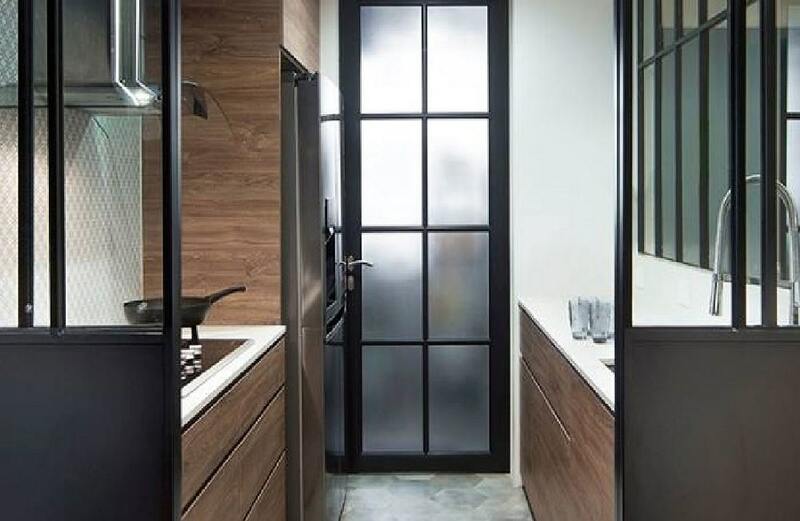 Aluminum framed doors and windows are a beloved interior design feature of all Singapore residents, and it’s one of the most stylish ways to introduce dark colored accents in your spaces. The frame designs can always be customized and their impact on the overall ambiance always looks especially trendy.